PokerStars is celebrating the upcoming World Championship of Online Poker (WCOOP) with a special PokerStars reload bonus for returning players. The reload bonus is a 40% up to $240 bonus, double the standard reload bonus available. Step 1: Visit our PokerStars Bonus Code Page and click on the download button. 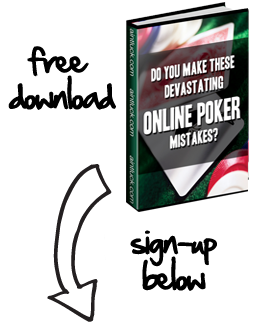 Step 2: Download the PokerStars software directly from their website. Step 3: Simply type in reload bonus code “2X” into the bonus code field when you make your deposit. In addition, you will receive a free ticket to one of the PokerStars WCOOP satellites. Notes: You must make your deposit between July 21st and July 31st EST in order to receive the full 40% up to $240 bonus. You need to earn 20 VPPs for every bonus dollar. You will have 180 days from your deposit date in order to fulfill the bonus requirements. In addition to the reload bonuses PokerStars is offering, they have been kind enough to give first depositors a free entry into their 2X First Depositor Freerolls. These are $2,222 freerolls held daily until July 30th, 2008 at 13:00 and 20:00 EST. Step 3: Use Bonus Code: FIRST2X, when making your first deposit and you will be able to enter the freerolls. Note: You will still earn the standard PokerStars bonus of 100% up to $50. You will find the 2X First Deposit Freerolls located under the “Tourney”/”Freerolls” tab in your PokerStars lobby. The tournaments will be labeled as “PokerStars 2X — $2,222 First Depositor Freeroll”. As an added bonus if you cash in one of the daily freerolls, PokerStars will enter you into one of the 2, $22,222 grand finals on July 31st at 13:00 and 20:00 EST.